The interest is growing amongst people who are tired of genetically modified, tasteless food. Email us for information on how you can find free, foraged wild food. In order to comply with USDA food safety regulations, we do not sell nor provide anything containing meat, poultry, canned low acid foods, or dairy products. We sell herbs (plants) for a novelty, religious, or food supplements only. We may list other sites that sell FDA regulated products, but we are not in any way responsible for what others sell. 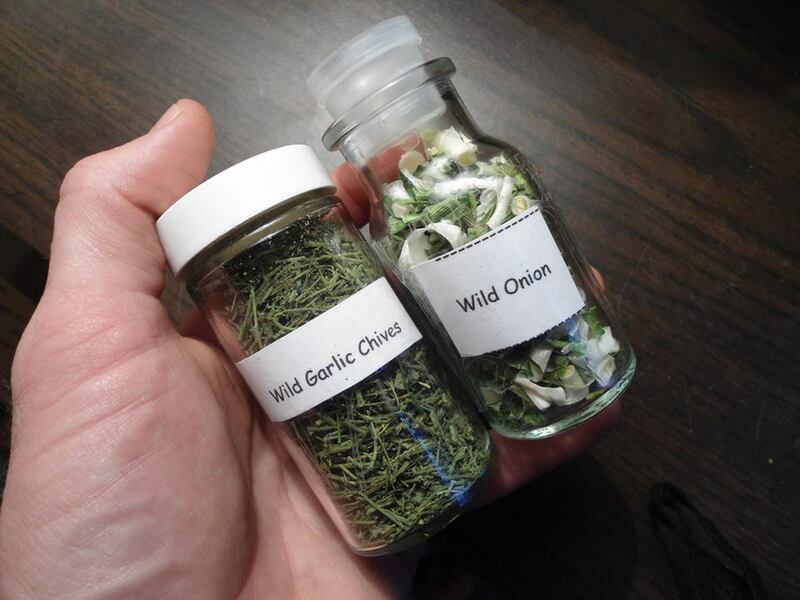 Wild Pantry specializes in wild edible food that includes wild greens, mushrooms, roots, fruits, berries, vegetables, flowers, medicinal, and useful plants of the Southeastern United States and other areas of the United States. Under new ownership and management, but the same great products for your wild dining needs. Our office is the great, wild outdoors! 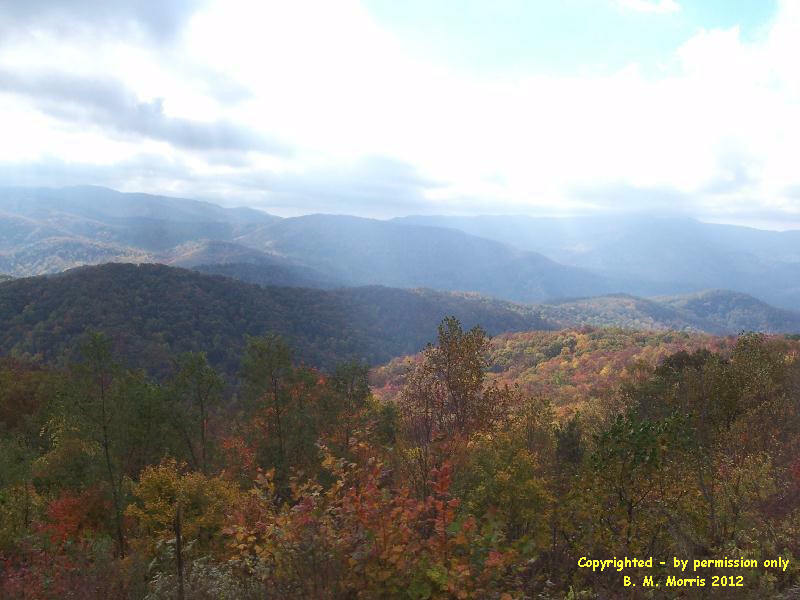 Smoky Mountains, Tennessee copyright by B.M.M. - This is our office. Mother Nature's Grocery Store and Pharmacy is always open! Come on in and look around. You'll find lots of friends here. 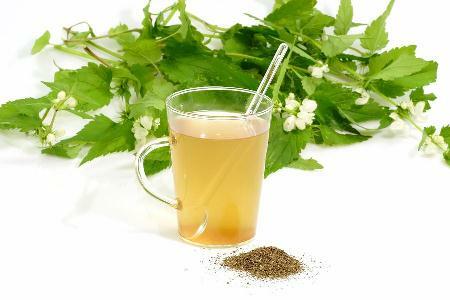 To order tea berry leaves or berries, email request, Email Melissa for info. Our herbal products are not intended to diagnose, treat, cure, or prevent disease. Consult your own physician regarding the applicability of any opinions or recommendations with respect to your symptoms or medical condition. Our herbal products have not been evaluated by the USDA. Wild carrot seed products from flowers that had the dot in the middle will be again offered this year but very limited quantities. Please email for information. Wild Spices are now available! Wild leek aka "ramps" salt is now available. Email for price and availability. All are available with Mediterranean pink salt blend or simply the main ingredient alone. Click on thumbnail for larger image. $8.00/each plus shipping. Email for information on ordering. New product! Wild mushroom meat rub. Please click link for information on this tasty new product. Jerusalem Artichokes aka Sunchokes are available late fall (September - February) through winter at a good price. Email for ordering information. Are all of our products organic? No, we cannot guarantee that ALL of our products are organic but most our products are harvested from the wild areas of our forests. Some of our medicinal herbs are organic and are marked accordingly. This site is about finding, collecting, identifying and preparing the more safe and common edible and medicinal mushroom species of Maine, New England, and Eastern Canada. 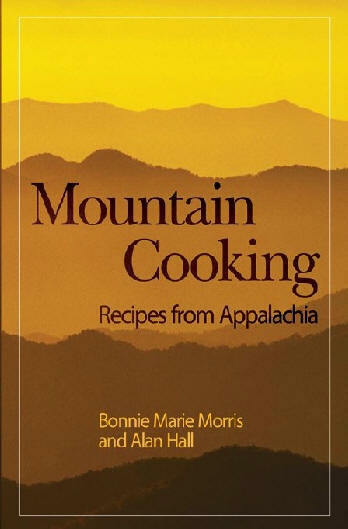 The content is aimed at cooks, foragers, herbalists, and restaurateurs. WildFoodGirl.com - A must visit site for the wild foodies! Why Eat Wild Foods? ...They are not Genetically Modified! 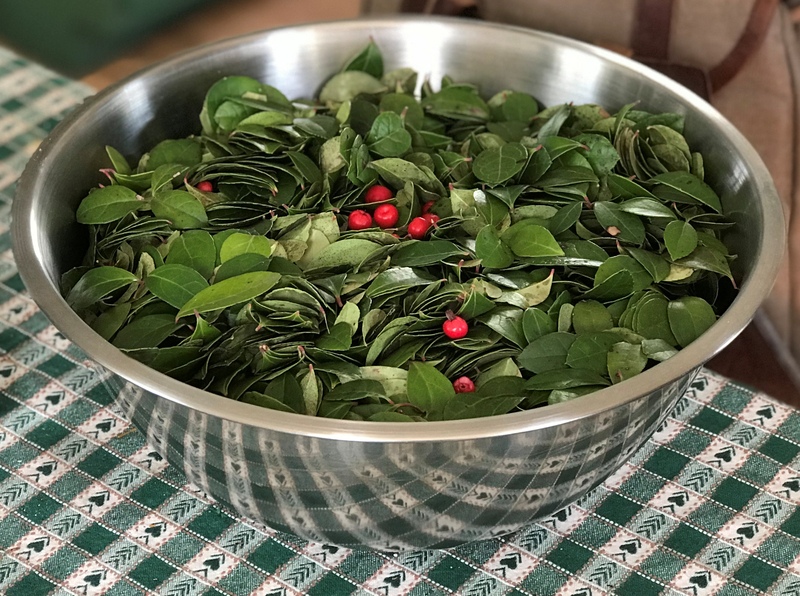 In an economically distressed time where some families are finding it difficult to feed their families, wild foods can substantially supplement their requirements for cost effective foods. A lot of wild edibles can be found in your very own yard, locally, or a short trip to the country or forest. If you would like to learn to identify wild edibles please click the link on wild crafting, or email for information. We can offer classes in plant identification year round here in Tennessee but spring and summer to early fall offer the most plants. With constant food product recalls in the news recently, people are justifiably beginning to wonder if the food they are buying at grocery stores and restaurants is safe to eat. Food safety is becoming a hot topic and a major concern in the U.S. and world wide. Some foods that we now consume on a regular basis may contain chemical additives, flavor enhancers, and are processed to the point of being tasteless with questionable nutrition value. E-coli tainted produce, unsafe chemical additives, irradiated food, cloned and genetically engineered foods are not acceptable to people who are concerned with their health and the health of their families. Wild foods are not genetically engineered to produce a larger, faster maturing crop, are not chemically fertilized, nor sprayed with insecticides. Foraging along highways and busy roadways is not recommended and we do not do it. Are genetically modified foods harmful to humans? Open Letter from World Scientists to All Governments Click here. Thousands of years ago, primitive man had to subsist on wild plants and animals for food in order to live. Now culinary evolution is now ready to start going backwards toward a simpler era with wild foraged foods, unique tastes and better nutrition in what we eat. If you crave a unique tasting and truly wild, nutritionally wholesome food to eat or want to have an unusual gourmet dinner for a special group of friends you're in the right place. Wild Edible Food Can Bring Out The Caveman or Cavewoman in you. If you can't find a wild edible food here that you would like, please email us as we can probably obtain it for you. We have contacts all over the world for exotics. You will not find a shopping cart on our site for all of our products. We have limited supplies of some items and cannot furnish very large bulk orders on all items although we can offer bulk orders for certain items. Therefore, it is advised to email us if you find a product that you are interested in ordering so that we can check availability. 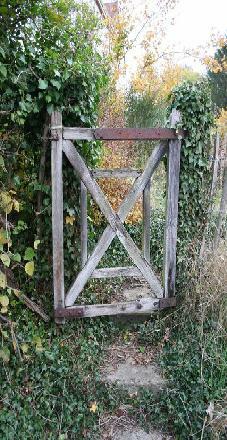 If you cannot find an item of interest, please email us as we can most likely locate it for you. All wild food products that we supply are ethically harvested from private land holdings in the southern Appalachian Mountain area or Southern Georgia, Florida, Tennessee or Kentucky by trained wild crafters. No endangered or threatened botanicals are ever harvested. Wild Pantry doesn't just offer edible wild mushrooms but can offer a vast array of culinary delights for every taste and occasion. If you want wild berry jams, jellies and preserves we have a good selection of these items. 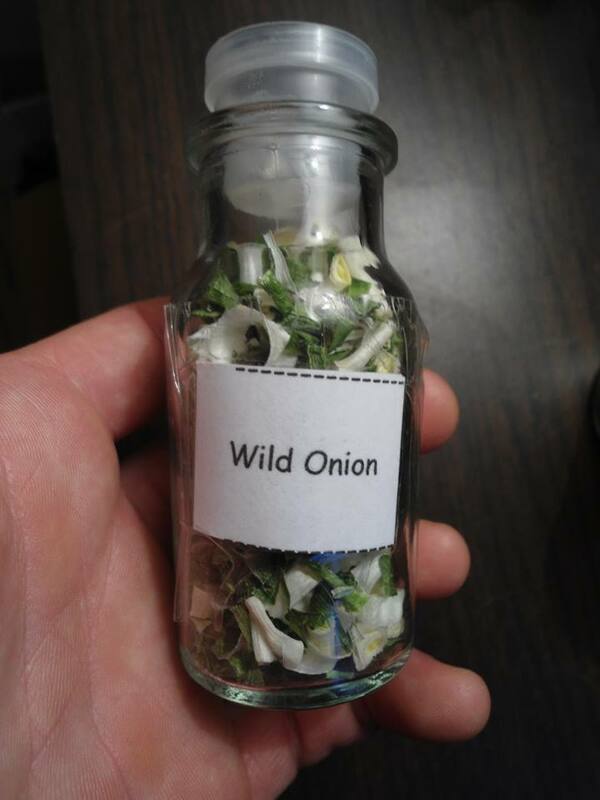 Wild onions and ramps (wild leeks) has been a real favorite and is offered when they are in season. 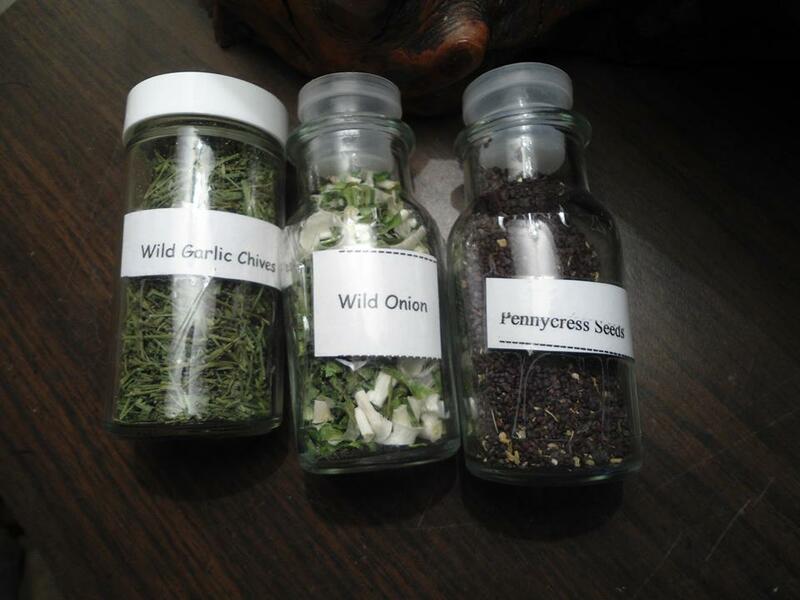 Wild Pantry offers many herbs, some wild crafted, and some certified organic. 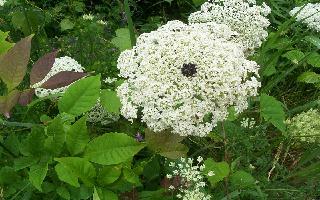 We are now offering wild carrot seeds (also known as Queen Anne's Lace) (Daucus carota subsp. carota) and tinctures that have been used in the past by women who do not want to use synthetic hormone type pills (The Pill) or other devices as a birth control method. * Some people are using the wild carrot seed products for feral cats and dogs. We suggest you check with your vet before using anything on your pets. *Due to recent regulations concerning natural herbal alternatives we are re-wording our entire website. If you have questions about any of our products we can answer your questions via email. We cannot advise anything about health related questions, what herb to use for what, nor give you any advice about using herbs. The ethno botanical plant products we sell are sold as a "novelty" to be used for research, spiritual reasons, education, or whatever reason you decide to use them. None of these plants are sold or intended for human consumption. None of our products have been approved by the FDA so we have to have you read these disclaimers before you purchase them. Wild Pantry will not be responsible for any consequences if you decide to ingest or use any of these products for human consumption. You do so at your own risk. Remember, abstinence is the only 100% sure method of birth control even though women have used these products in the past. 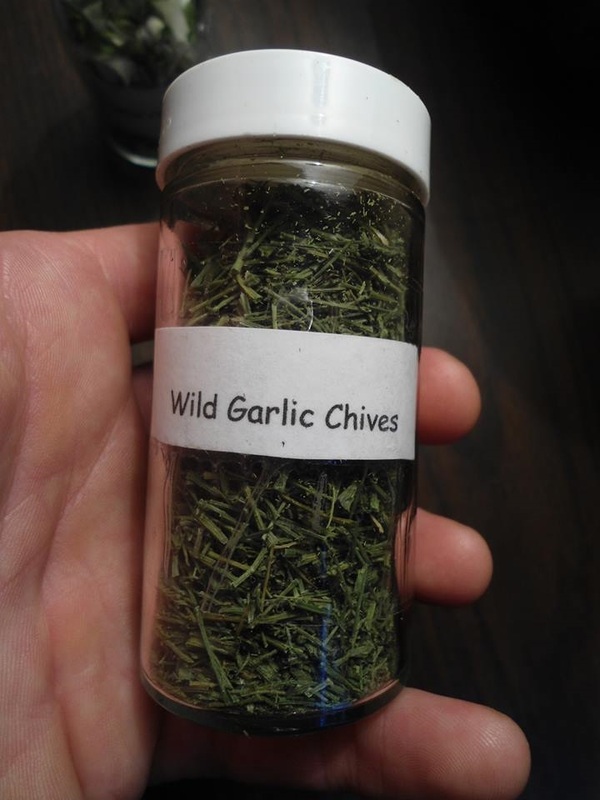 Wild Pantry offers a number of medicinal herbs. If there is an herb that you cannot find, please email us and we may be able to obtain it for you. We specialize in hard to find herbs and plants. Please follow the links on the left side of the site to go to specific information and products. We are now offering wild plant identification classes in Tennessee. You can learn about wild survival foods, edible weeds that can supplement your diet, and which plants to use for edible landscaping. Email for information. If you have any questions about our products please give us a call at (423) 371-1518 (cell) or email us at your convenience. All fresh products are subject to availability of Mother Nature's seasons. Please check back often for updates and don't forget to check out our SPECIALS! Open 24/7/365 days a year! All text content and photos on this site is copyrighted and may not be used in any way without the express permission of Wild Pantry. If you see something you like and would like to use, please email for permission before using. Some photos were taken from public domain websites with the owner's permission, some photos were purchased, and some were taken by the site owner. Sources for content and photos are noted where necessary, and their copyright/ownership takes precedence. Do not take content, quote content, or photos without our permission as we do pursue legal actions against plagiarism. Our herbal products are not intended to diagnose, treat, cure, or prevent disease or health condition. Consult your own physician regarding the applicability of any opinions or recommendations with respect to your symptoms or medical condition. Our herbal products have not been evaluated by the USDA. Contact us at Wild Pantry if you have questions or comments. *Some photos were purchased from Stock.XCHNG and cannot be reproduced. This website belongs to and is maintained by Bearcat at Wild Pantry. Please note that prices can change at any time as we update our site when time is available. Please email us if you have any questions regarding prices. We reserve the right to refuse to supply any of our products to any company or person for any reason. If you have any questions or comments please email us. Za'atar Spice is now available. Email for information. 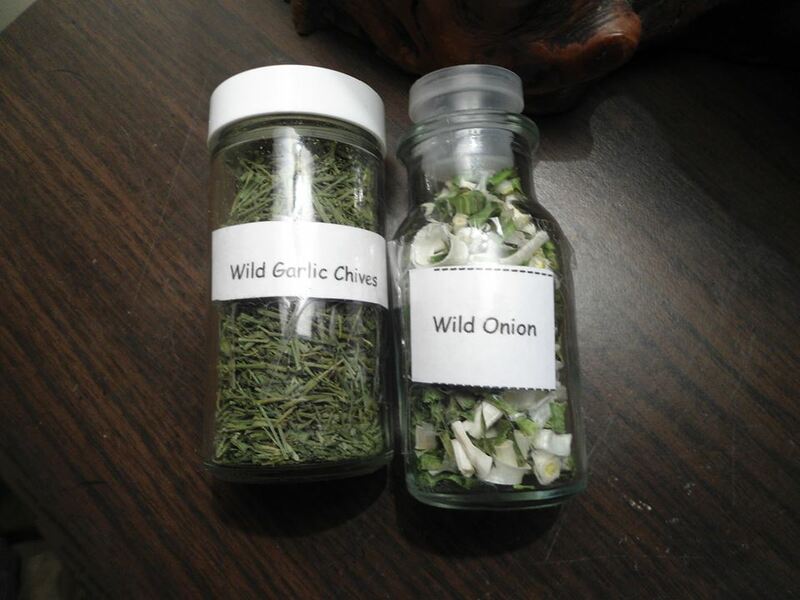 Wild garlic and wild onions are mid-winter to early spring. Hemlock varnish shelf (Ganoderma tsugae) mushrooms, dried. New! Bo' Hog Root and I think you know what that's for! Click here for info. Fresh tubers will be available around the end of October. Email if you want to get on the wait list for these nutritious tubers. Wild Carrot (Daucus carota subspecies carota), also known as Bird's Nest and Queen Anne's Lace seeds and tincture is now in stock. Introducing a new foraging video! "The Forager's Harvest" - A Guide to Identifying, Harvesting, and Preparing Edible Wild Plants featuring Samuel Thayer. Recommended Books To Read: Click on Title to order. Just Published! Click here for information on our new book.